If you’re looking for a way to keep warm in your perfect living space all winter long, fireplaces are a perfect choice for calm comfort in your home, from the first snowfall to the final frost. Whether you enjoy the modern appeal of gas fireplaces or the traditional sound and scent of wood fireplaces, you’re looking at a sure way to create a warm, welcoming and wonderfully cozy atmosphere. And that’s where Stamford Fireplaces comes in. We help you make the right fireplace choice based on your needs and preferences, with a wide range of brand name products and a staff who are ready to work with you for the perfect addition to your home this season. To provide our customers with more convenience and choice, we offer free in-home estimates. This allows us to help our customers make the right decision with the most complete design information available. We understand that both finance and fashion play a key role in all forms of home design, and want to ensure that you’re choosing what’s right for both. We also provide service for all make and models, regardless of whether you purchased it at Stamford or not. 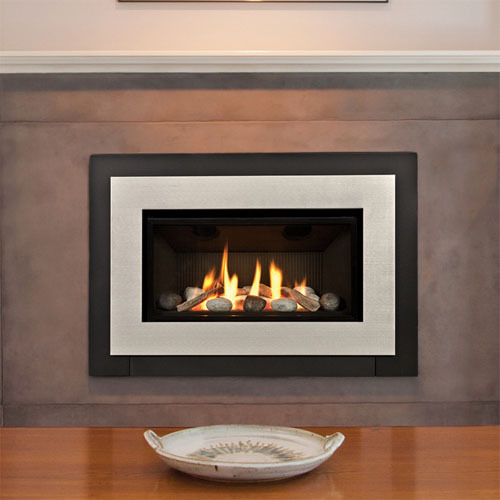 Want to learn more about how we can help you find the perfect choice from our selection of gas fireplaces, wood fireplaces, and electric fireplaces? Contact us to set up a free in-home estimate or stop by our design centre at 6997 Oakwood Drive today!